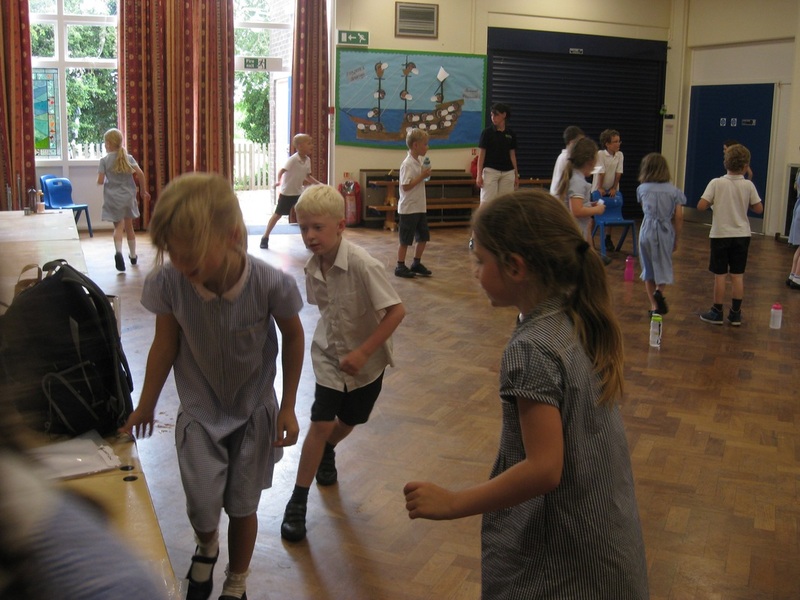 It has been a very busy start to the term with all sorts of exciting French being learnt! Class F is learning how to say Hello, goodbye and how they are feeling. They have met Albert, the French Teddy. 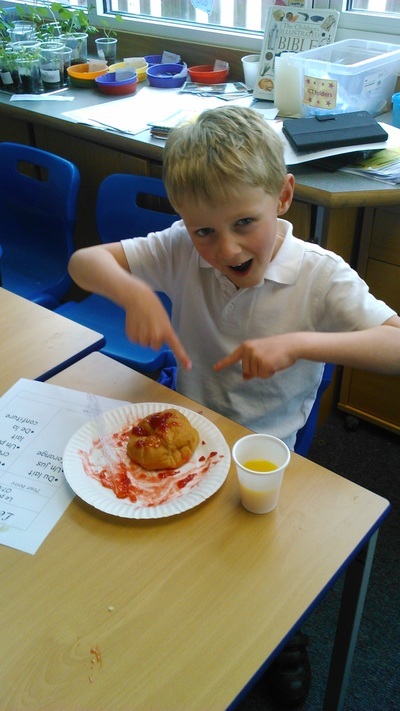 Class 1 children have been enjoying Qui Conduit? a French children's book. They know some animal and vehicle names. Class 2 children have been reading Peche Prune Poire Prune. They know the French names for some Traditional characters, can say whether something is "grand" or "petit" and are finding out all about French Fruit! 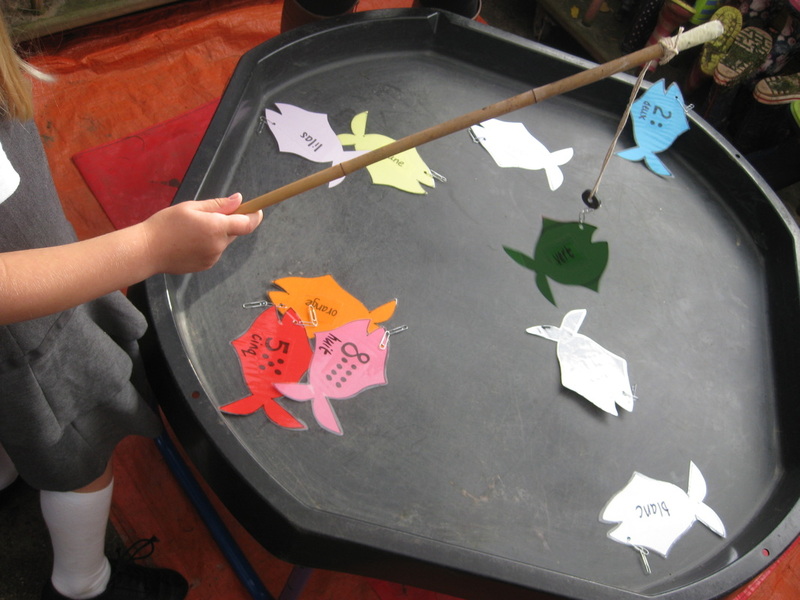 Class 3 children have been answering Qui est-ce? (who is it?) They are now learning some pretty impressive grammar! Class 4 children can write their own sentences saying which animal is in which place! 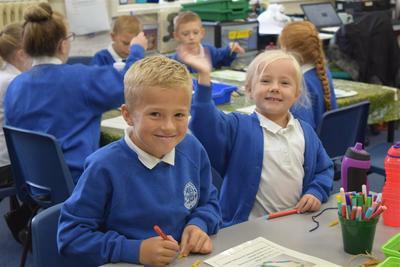 In Class 5 it's been phonics all the way which has vastly helped with pronunciation. 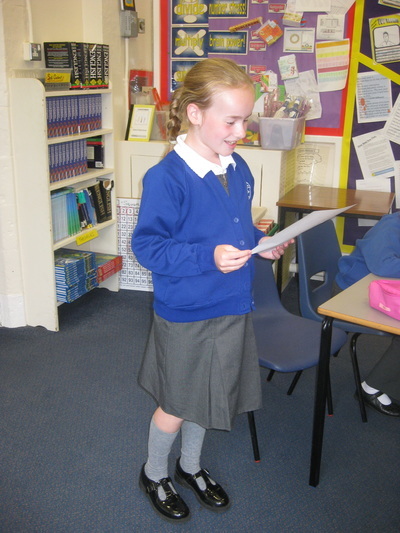 Class 6 children can write about their family. Phew-and we're only in week 4! Class 1 children can be seen here cutting and sticking the correct number of of fruits on to the right days. La Chenille qui fait des trous gave us the perfect opportunity to practise fruits, days of the week and numbers to 5! When, 11 years ago we decided to use the Housegroup system to implement EDoL, we knew it would have good effects. Just look at the family co-operation we saw this year! I was lucky enough to have the support of Sports Coach, Mr Hanford for my 2 days of EDoL. I asked him to teach the children the South Asian sport Kabaddi. 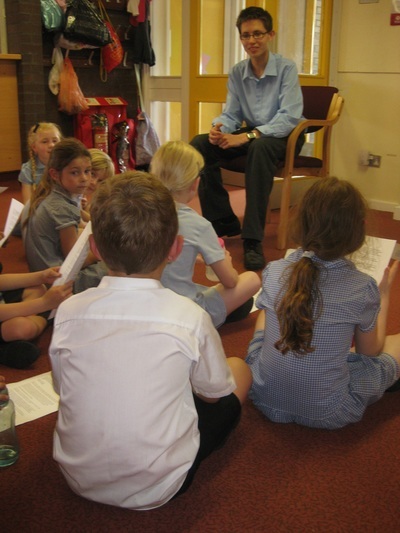 It was a real hit with Mr Hanford and the children. 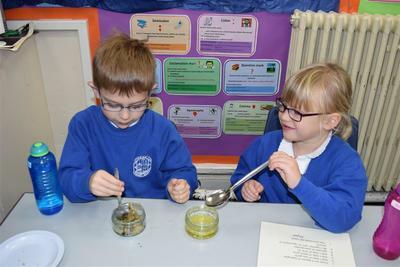 Look at the concentration, competition and enjoyment on the faces of this group of Oak children. Today was the first day of EDoL 2017. With 4 exciting countries to visit- Poland, Chile, Sri Lanka and Ethiopia, the day began with an assembly about what makes a culture. Into the mix we added food, language, flag, and arts and crafts. Later Daisy Snewin added "traditions"-great one Daisy! In Sri Lanka we very quickly got to grips with counting to 5-have a look at Jude Morris counting beautifully! We also made elephant finger puppets and lolly lotus flowers, tasted tea and butter cake and played Kabaddi. 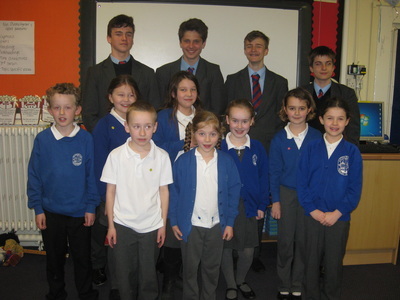 In 2015 Class 5 carried out a fabulous exchange project with a school in France, partnering with Mme Fior. During the following year she went on maternity leave and moved schools! 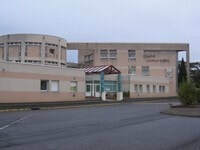 I am delighted that she has decided to take us with her and we have a new partner school, Collège Camille Guérin in a small town to the north east of Poitiers called Vouneuil sur Vienne. Class 5 can look forward to a year of exciting projects! 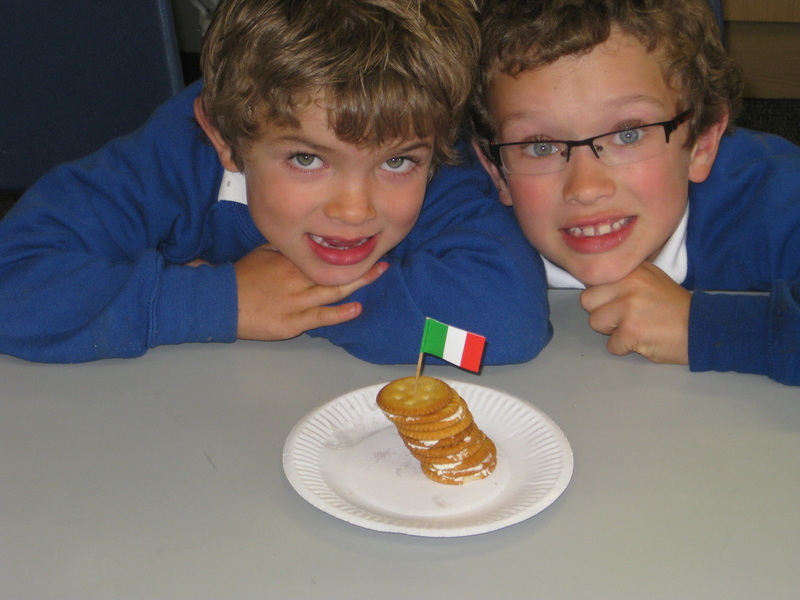 10th European Day of Languages at Hathern! Phew! What a busy 2 days we have had! The atmosphere round school has been buzzing! 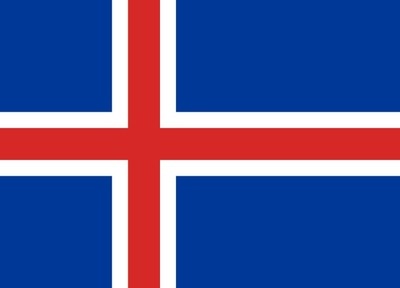 Ten years on, 32 countries visited, and it just keeps on getting better and better! No wonder the Year 6 children were looking so glum at the end of their last EDL! This tear we traveled to Peru, Algeria, Malaysia and Norway. On the way we learnt how to say please and thank you, to count to 5, say some colours and introduce ourselves. In Norway we had fun with picture clues for our numbers! There was food to be tasted, games to play, crafts to complete... Working in Housegroups gave our older pupils the chance to show their caring nature; there wasn't a single younger person who wasn't helped, nurtured or looked after. It takes a great deal of time, effort and energy to prepare and put on days like these and I would like to congratulate and thank our fabulous teachers, support staff and volunteers for 2 truly inspiring and valuable days! 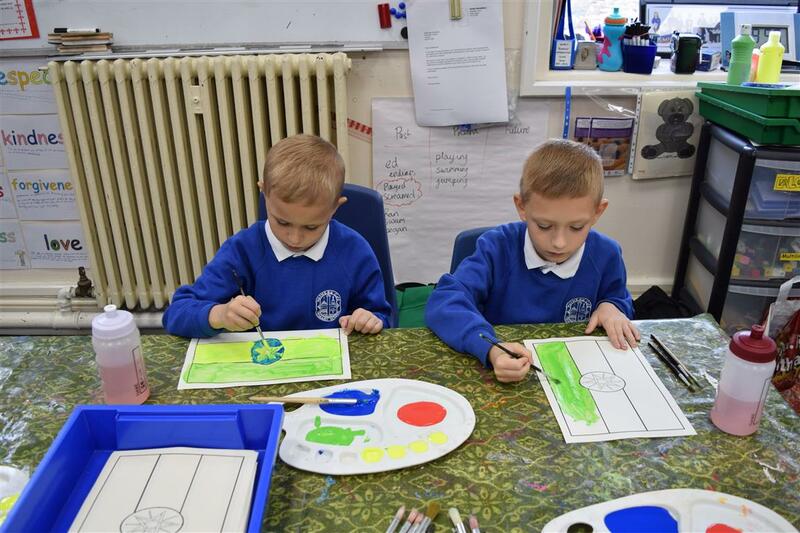 Class 2 children are busy working on the Janet and Allan Ahlberg classic, "Each Peach Pear Plum." They have been finding out what the characters are called in French. Can you match the names to the faces??? 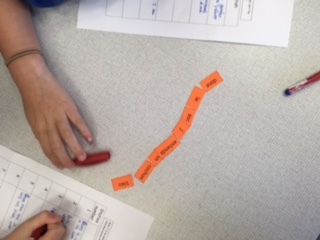 Class 4 children put their French knowledge to the test on Thursday when I set up a game of Sentence Stations. 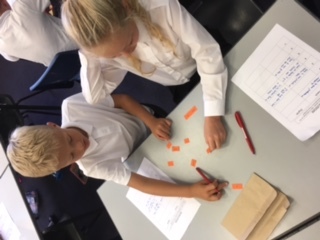 Each of 5 envelopes had cut up sentences in them, which the children in small groups had to arrange into a sentence, write down and then write in English! 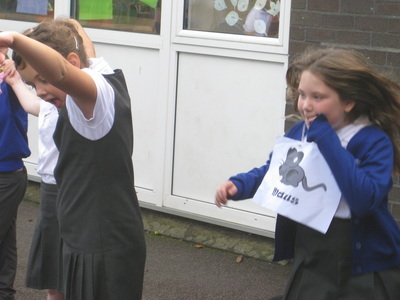 They did brilliantly, incorporating one of 3 verbs, one of 5 adverbs of place, a noun and an adjective! Look out for even more complex sentences Year 4s! WOW! In Class 1 today we got out the finger puppets and asked them questions. First the children asked my finger puppet its name, age and how it was feeling then they all made up the same information for their puppets and I asked the questions! Have a listen to Sarah and Lilia! What a busy term ahead! The planning is in place for all six classes, and it looks like it's going to be a busy 6 weeks! There are books to read, songs to sing, days of the week to learn, alphabets to practise and performances to make! Click on the Youtube link for your class to practise! Finally, on Tuesday morning when I was yet again asked, "Have our letters came yet?" I was able to reply, "Yes indeed!" after first correcting the grammar of the question!! A package from France had been delivered on Monday containing the second letter from our penfriends and a Christmas card each. 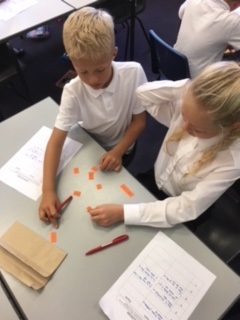 There followed a mad hour and a half as we tried to decipher the content of the letters and write replies so that they might have some chance of arriving before the end of term. 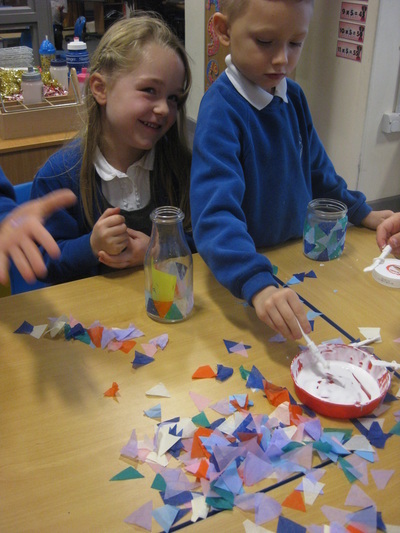 The children then made baubles to showcase their penfriends for our French Partner School Tree at the Christmas Tree Festival. 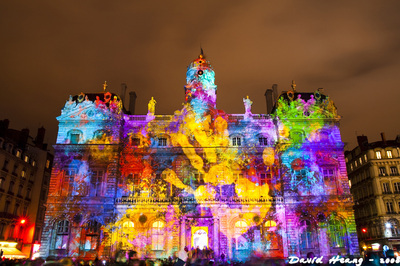 On Wednesday afternoon the children in Class 2 found out all about La fete des Lumieres in Lyon! This event, which began in 1852, takes place on or around the weekend of the 8th December each year. In 1850 a competition was launched to design a statue to stand over the town on the Fouviere Hill. Two years later, September 8th was set aside for the unveiling, but the river Saone flooded and the finishing touches to the sculpture could not be made. The event was rescheduled for December 8th but again was called off due to the weather! Finally the unveiling happened on the 12th December, and the excited, undeterred Lyonnais lit up the whole town with candles in their windows. Every year a huge festival of light takes place-the photographs are spectacular- and the children decorate small jars to use as candle holders. 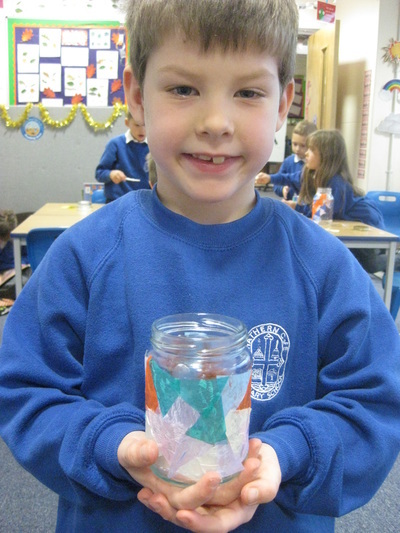 Here are some photos of Class 2 making their French candle pots! 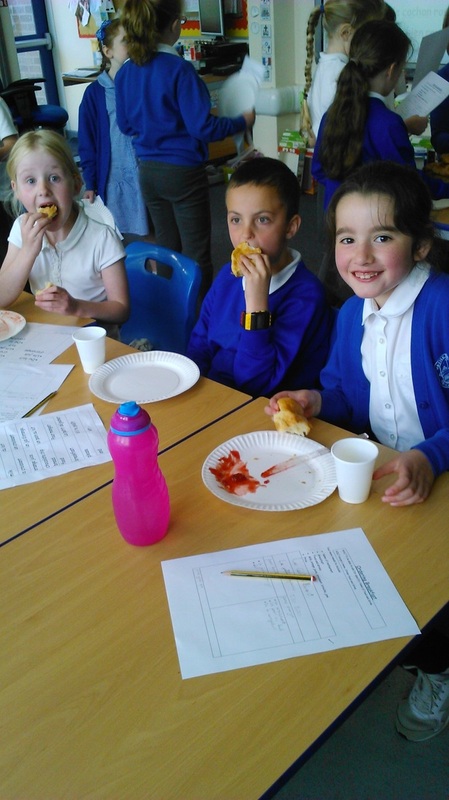 We're doing brilliantly at French! French is such a big part of our curriculum at Hathern! Can you imagine how great it feels to be constantly greeted by 4, 5, 6 and 7 year olds with a cheery "Bonjour"? Well it feels great! There is barely a child in KS1 who says Hello to me! Whenever they see me on the playground, in the corridor, at lunchtime, the standard greeting is Bonjour. This is often followed by a comment on how they are feeling-Ca va bien is usually the one, but a lot like Comme ci, comme ca! - with the French hand action! (Apologies for the lack of accents-they are not easy to find in the web editor!) Today I was told "cinq" by a very happy birthday boy! We have been working really hard over the last few weeks. Class 2 children can often be heard asking for "un taille-crayon" rather than a pencil sharpener, Class 1 love joining in with our wolf story and surprise me with a menacing "J'arrive!" (I'm coming!) in the corridor and Class F are doing brilliantly with singing French songs, greetings and counting to 5! Of course it is much more serious in KS2 but the rewards are no less great! 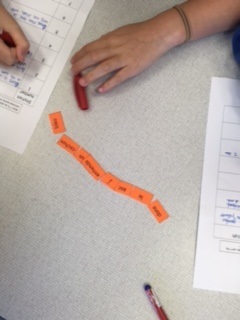 Today Classes 3 and 4 were learning the rules for making nouns plural, and what a fabulous job they did. 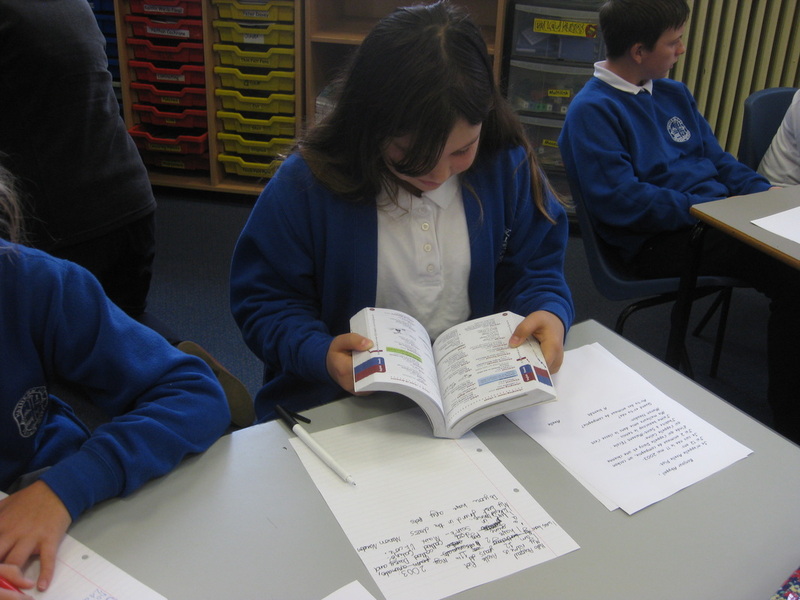 In Class 5 we have been studying French phonics. 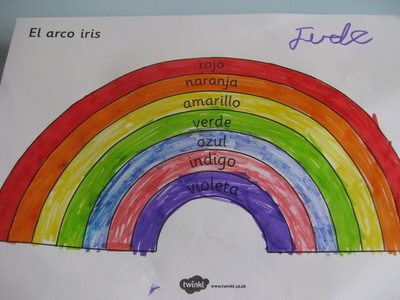 It is amazing to see the extent to which this helps them read new words. I love the way they look at a new word and you can almost see the cogs turning as each part of the word is processed and a perfect pronunciation emerges! Teaching French is such good fun at Hathern! This year I have challenged the children to be Langua-tastic, and they certainly have! At the end of the first day I have had to print more certificates! All through the school there has been numerous examples of fantastic, innovative language learning-and we've still got a whole day to go! Check out these great photos to find out just what we have been up to! During the summer break I met up with Elodie Fior, teacher at College Denfert Rochereau, St Maixent l'Ecole. We put together a plan of action for the whole year which means "penfriends for Class 5!" Today the pupils in Class 5 received their first letter. 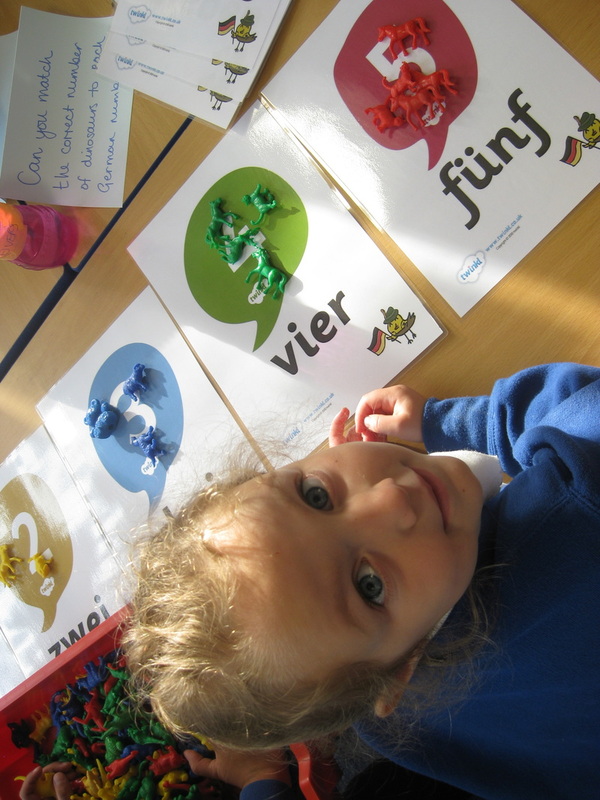 Elodie has paired the pupils up according to some information we sent her at the very beginning of the term and today everyone received their first letter-in French!! 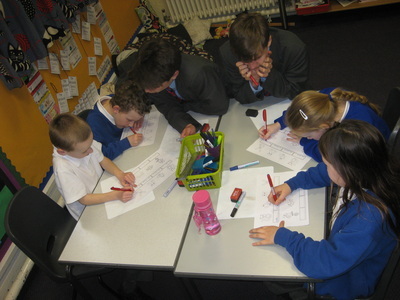 I was very impressed at the strategies used to decipher the letters and the collaboration that went on across tables. Finally everyone understood their letter and began work on their reply. 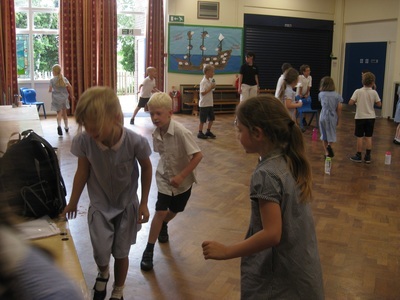 It was amazing to see just how much the children could workout and understand-definitely language in action! 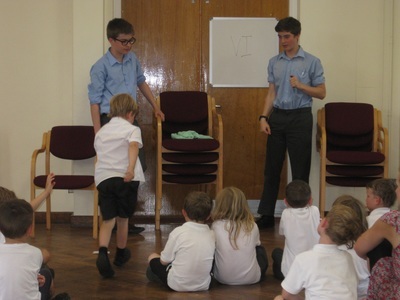 On the hottest day of the year so far, and right after a torrential rain fall, 12 students from Loughborough Grammar School, accompanied by Head of Languages, Mr Matthew Jackson, guided all our pupils through a taste of 5 languages. 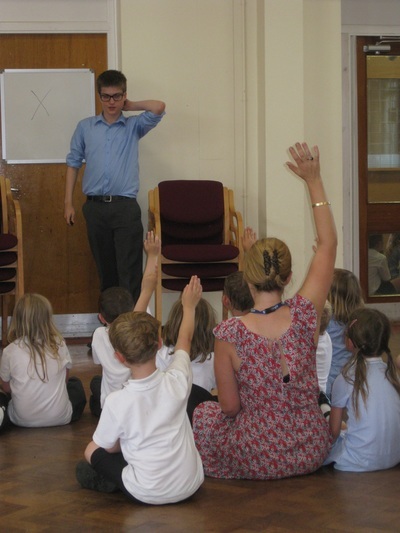 The children were treated to games, stories, songs, quizzes and written activities across French, German, Spanish, Latin and Ancient Greek. The pupils from both schools did brilliantly! The older boys had obviously put a great deal of effort and thought into their sessions and adapted well to suit the different age groups. 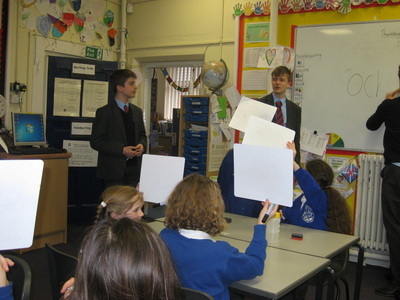 Our children were very interested and keen to ask and answer questions as you can see in the photos! This has been an exciting new collaboration with Loughborough Grammar School's Languages department, and plans are in place to continue it next year! A big thank you to Mr Jackson for setting it up, and to the super boys who delivered the fun activities with confidence, good humour and friendly demeanour. Le petit dejeuner en Classe 2! Finally after weeks of waiting and practising their skills, Class 2 got to put it all to good use and reap the rewards! 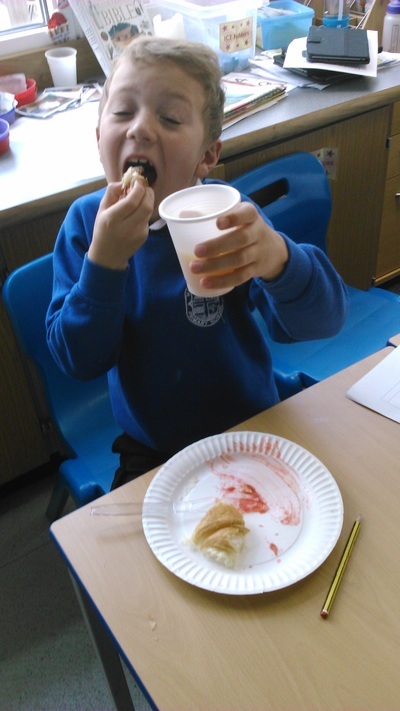 Today everyone asked for something to eat and drink in French-and got what they asked for!! 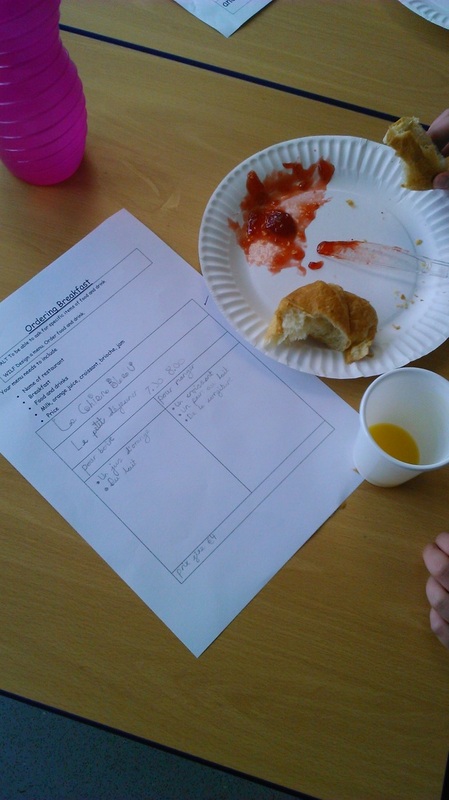 There was a choice of croissant or pain au lait, with jam, washed down with du lait or un jus d'orange. And the manners were impeccable! Fun Day in Class F! I had a lovely day in Class F today. We did The Very Hungry Caterpillar in French! We know the names of the 5 fruits that "la chenille" ate through! Click on the file below and see how many of the fruit pictures you can match to their names! It has been nearly 2 years since our French partner school pulled out of the partnership and since then I have been trying through all possible means to establish a new partnership. Finally I have good news! 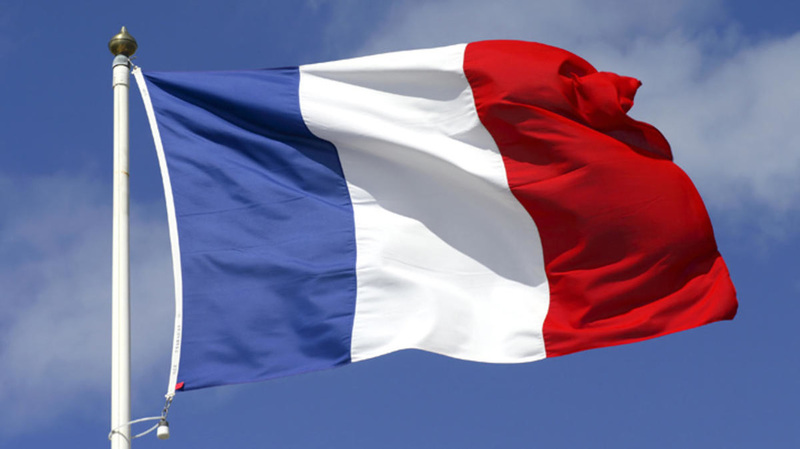 We have a new partner school in France, in St Maixent l'Ecole, a small town in Poitou-Charentes, about one hour's drive inland from La Rochelle on the Atlantic coast. Watch this space for more!! Today saw the first of what we hope will be frequent collaborations with Loughborough Grammar School. Head of MFL, Matthew Jackson, delivered 4 Year 10 Pupils to Cross Street to work with a small group of Y4 pupils for the afternoon learning Spanish. The boys were well prepared and had brought Powerpoints, ideas for games and worksheets, and developed a good rapport with our children. The lucky linguists got to learn greeetings, colours, numbers, pets and days of the week and will be doing it all over again nest week ...in German! Thank you Tom, Charlie, Matthew and Sean! 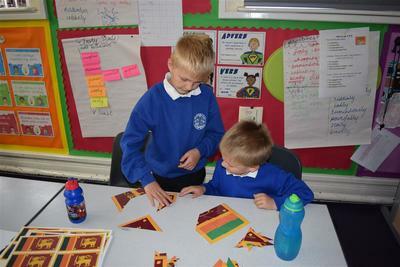 Class 3 has joined an e-twinning project! Their project is called Culture in a Box and will last 6 months. 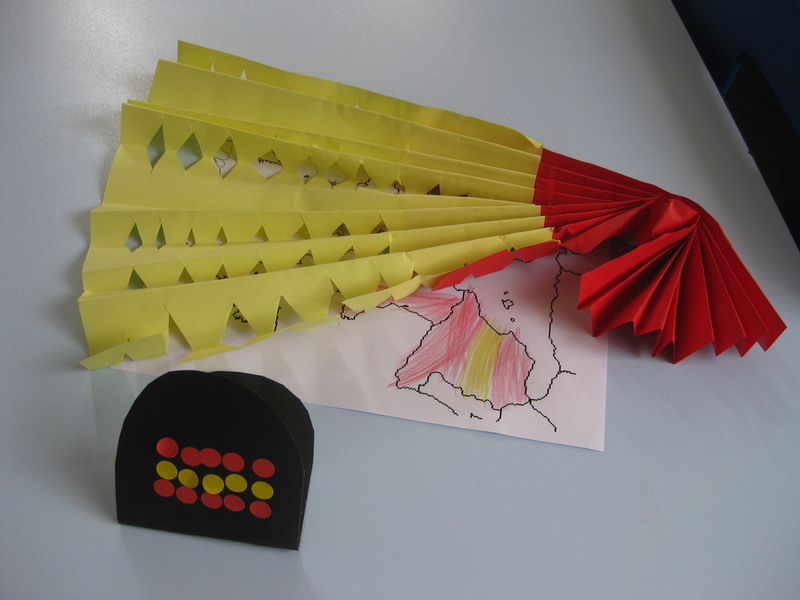 During this time the children will create and share with our partners information about our school, our village and our country before deciding which objects and values most represent our country/culture. 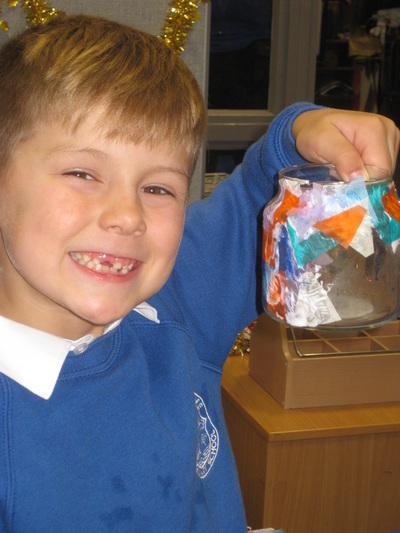 Last week we collected and posted lots of information about our school which has been well received. Thank you Rebecca and your hard working British students for your interesting presentation!!!! I REALLY LIKED YOUR GROUP PHOTO ,so cute children !! !On Tuesday ,we watched HAMLET in English-adaptation for children -a funny version!!!! It was an amazing experience for them!!!! i will try to share photos at the twinspace!! Last week we had a look at Chrysoula's presentation from her school-we were very envious of their basketball court with banked seating around it! I am trying to find a way to share access to these presentations so that you can have a look at them too! 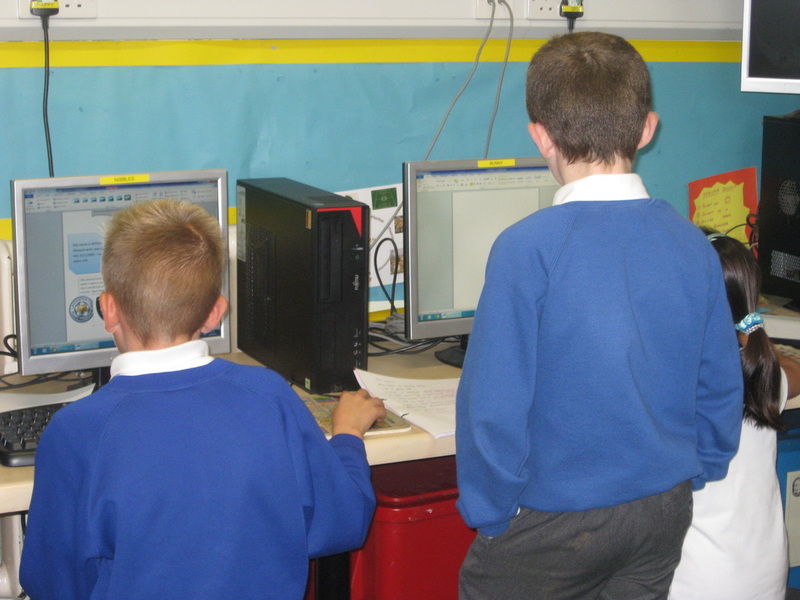 Class 4 has joined an e-twinning project called Christmas in Europe. As part of our project the children have made and sent handmade Christmas cards to 16 partner schools across Europe from as far north as Latvia to as far south as Malta! Our cards are in the post and we have already received 7 back from the other schools. We had a look at the different ways other Europeans say Happy Christmas. 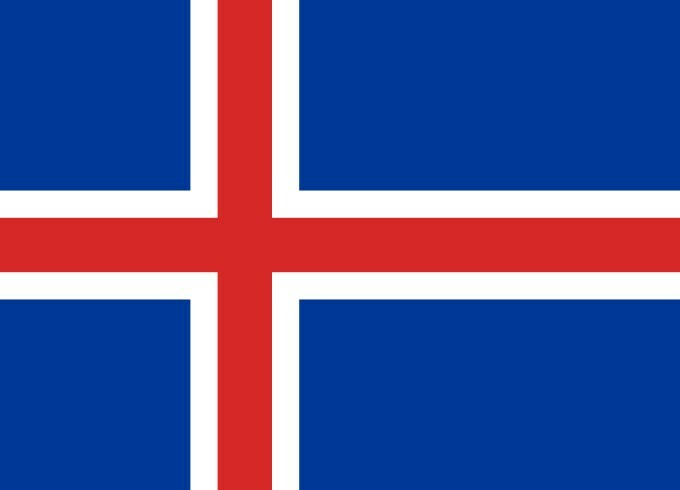 Next week we will be recording greetings and carols to share with our European friends. Look out for the cards on our e-twinning tree at the Christmas Tree Festival, and then in the Reception area at school. Class 2 spent the afternoon learning about La fete des lumieres (apologies to all for lack of accents-I don't know where they are on the web editor yet!) in Lyon. The fete takes place annually around the 8th December, to recognise the inauguration of the religious statue on the Fouviere hill above the city in 1852. 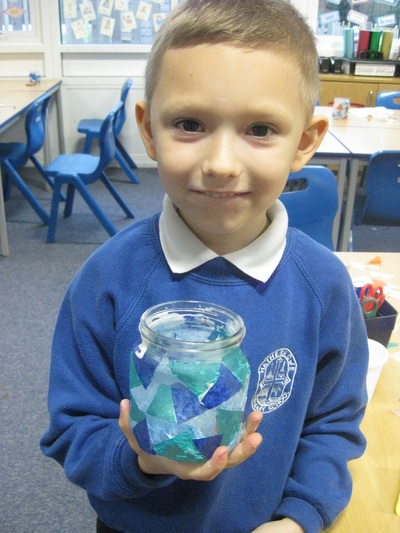 The children looked at and discussed some of the amazing light displays that have been seen over the last few years and made a decorated night light jar, just like the French children of Lyon do! It was a fun afternoon! 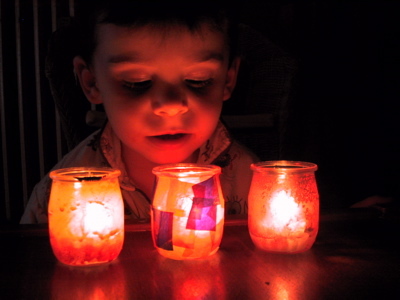 I hope you have been able to light your candles and that they are glowing colourfully! 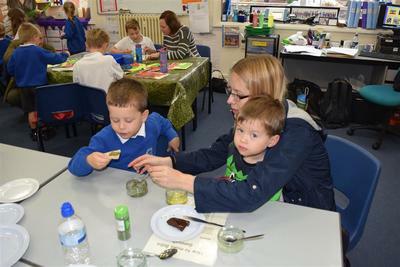 Hathern C of E Primary School celebrated EDL for the 8th year and learned all about Guyana, Iceland, Russia and South Africa. There was fun, food and lots of language learning! Well done to the Class teachers for thinking up innovative ideas for teaching new languages! Which country has the biggest area? 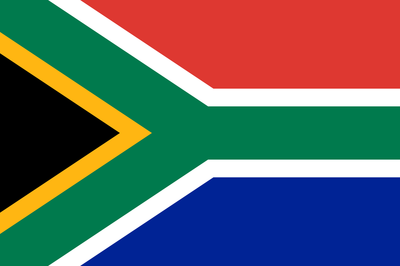 Which country has the highest mountain? Which country has the longest river? Which country has the most languages? European Day of Languages is in its 8th year at Hathern Primary School and it just keeps getting better!! It is a great opportunity for us to celebrate the diversity of language around the world. 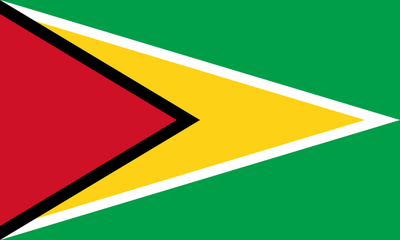 This year we will be visiting Guyana, South Africa, Iceland and The Russian Federation. 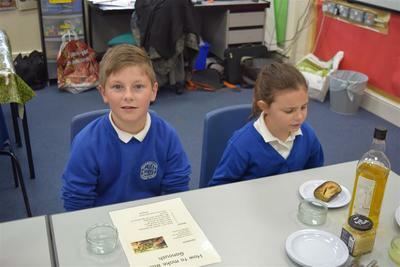 The children will be learning some key words from the language of each country, stories, games that children play, what is eaten and what's different and what's the same. Our adventure begins on Tuesday 7th October and continues through Wednesday 8th October.